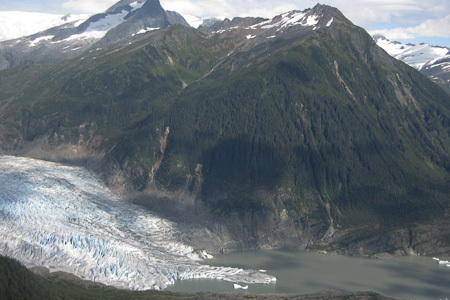 Glacier ecosystems cover approximately 10% of the Earth’s surface and contribute large volumes of runoff to rivers and the coastal ocean. 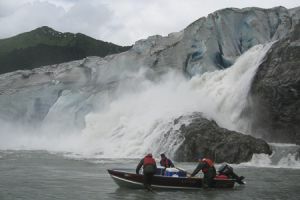 The large water flux from glacier watersheds in coastal and high-latitude regions can lead to a substantial flux of dissolved organic matter (DOM) despite the typically low concentrations of DOM reported in glacier ice. Recent studies have also shown that glacier DOM is highly biologically available and therefore provides a subsidy of bioavailable carbon to receiving streams, estuaries and coastal systems. The ongoing loss of glacier ice occurring in many regions of the world has the potential to shift the timing and magnitude of freshwater and bioavailable DOM delivered to downstream environments. Therefore, glacier environments can be important drivers of regional biogeochemical change and these ecosystems will increase in importance over the coming decades in areas where glacial water fluxes and DOM are increasing with climate warming. 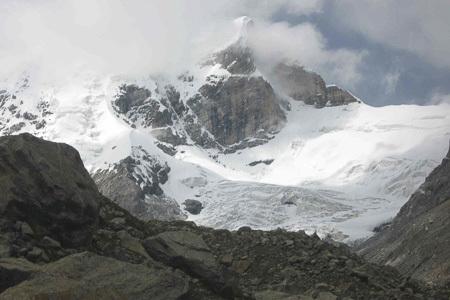 As a result, it is fundamentally important to develop an understanding of the source, cycling and export of DOM from glacier ecosystems. 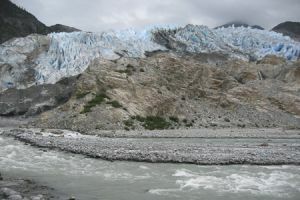 Ongoing work at sites in Alaska and Tibet has shown that DOM in these glacier systems is originating from the incomplete combustion of biomass and fossil fuels and thus has an anthropogenic origin. As deposition of combustion products is a global phenomenon, all ecosystems may be receiving this ancient, biolabile carbon subsidy. In vibrant ecosystems, the biolabile carbon windfall is presumably rapidly processed and its signal is lost. 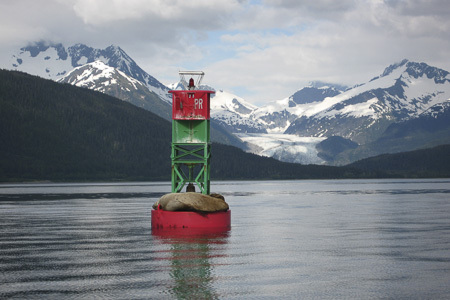 In frigid glacier environments, these inputs stand out, making glaciers sentinel ecosystems for the detection and study of perturbation to the global carbon cycle.